We spend too much time staring at our phones. If scrolling or swiping were considered as sports we would take a medal for sure. But the reality is different, the only things getting a workout in either case are our thumbs. That’s not to say your phone can’t help you lead a healthier, happier life. You just need to know the right apps to download. We’ve done our research and found an awesome fitness and workout app for you. Let’s discuss. What is Spin Cycle Studio all about? Not everyone likes going to the gym or there are people that have a busy lifestyle and don’t have time for the gym. Don’t worry, if you want to become more active, lose weight and improve your health, this app for your iPhone can help you do that without going to the gym. Offering the users a set of spin workout videos to follow at home for less than an hour any part of the day. Burn extra calories, challenge your body to lose weight faster and avoid going to the gym with this simple health and fitness app for iPhone. 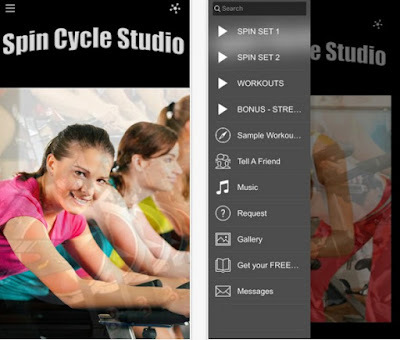 Spin Cycle Studio allows the users to exercise from home for less than an hour anytime they decide they have the time for it. Combined workout videos on this app for more than 2 hours for the users to choose from. Six different spin workout videos from 25 to 50 minutes long. Choose how much you want to push yourself and challenge your body. Lose weight fast and easy with following these spin videos and all of that from your home.